Double the decorative and functional attributes of a living space with this set of two swing-arm wall lamps. A dimmer switch on the round backplate allows you to easily adjust the light on each of these swing arm wall lamps. The set of two features a matching design with a down shade in a clean, brushed steel finish. A versatile look that will work in a bedroom or living room. Each lamp is 12 1/2" high. Back plates are 5" wide x 5" high x 1 1/4" deep. Shades are 4 1/4" across the top x 5 3/4" across the bottom x 5" high. Arm segments are 8 1/2" and 10 1/2" long. Uses one maximum 60 watt standard-medium base bulb per wall light (not included). On-off dimmer switches on backplates. Antique brass finish. Metal construction. Shades direct light downwards. 8-foot clear silver cord. 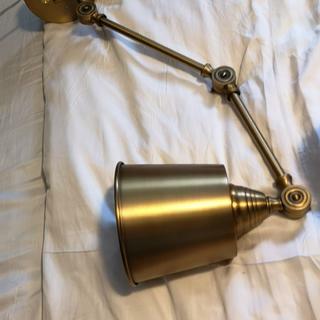 Adjustment points at lamp head, arm joint, and wall plate. Maximum arm extension is 31 1/2". Can be adjusted up and down at lamp head and arm joint. Can be adjusted left to right from adjustment point on backplate. UL listed. I'm redecorating my bedroom and these will look great over my headboard. Size, price, finish, adjustable arms & ability to replace the bulbs. Some lamps have built in bulbs that can’t be replaced. You have to buy a new fixture when they burn out! Flexibility of directing the light, dimmer, and color of metal. I need these for beside a bed in a guestroom and they need to be plug in and adjustable in movement. The arm swings back and forth plus the adjustable lamp goes up or down. To replace existing similar ones. For bedroom to free up space on the night stands. They are simple and classic! Price, look, dimmer! Love for reading lights. price was right, style was right...hope it works! 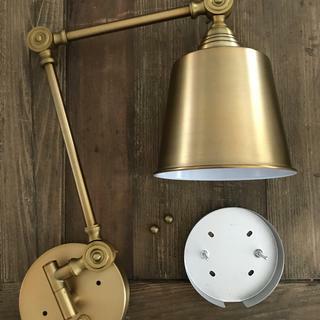 Brass colour, nice long swing arm, the right kind of lightbulb, switch on the back plate, coverable cord, GREAT PRICE & free shipping! Home run! Good price for the look I was going for. 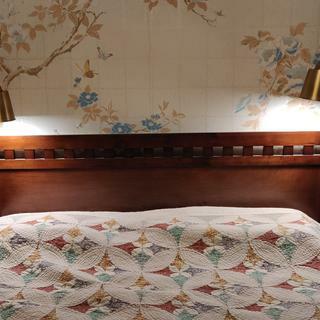 Will go on each side of the bed against a Navy Blue accent wall. 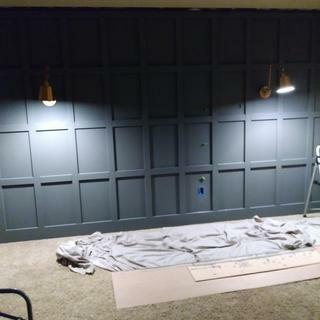 My son is finishing a small study room for my two teenage grandsons and I suggested plug in wall lamps instead of desk lamps, as they take up space on a small counter/desk. This is my gift to the new study. Great price and style I was looking for. I love the look of these and they appear to be adjustable. 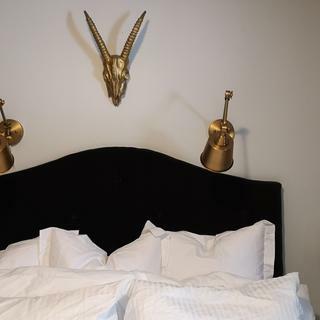 I wanted stylish wall lamps to free up space on our bedside tables. 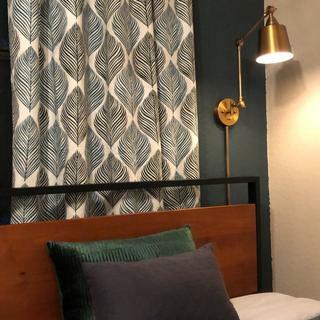 The antique brass will pop next to our new dark taupe velvet upbolstered headboard, the adjustable arms will facilitate reading in bed, hardwiring was not an option in our rental home, and the price point was great.These lamps checked all my requirements. These should be exactly what is needed to finish the built-ins in our living room. Will order more for the library if they work out well. Better lighting for reading and I like the color. Because the lamps swivel sideways as well as up and down. Seems to be what I’m looking for. Color seems right. Price seems good. I need these lamps by Thursday. Do you have another shipping option? 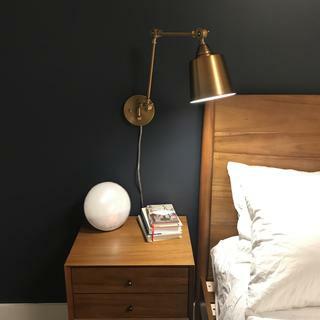 I've been looking for wall mounted plug in lamps in a brass finish, but all the options I've seen were too expensive for my budget. These looked great, and at an affordable price. I'm really excited to get them! Amazing price, I like the vertical swing option (tight space) and ease of plug in....saw many similar on many sites for way more money. Am hoping the quality is good! Nothing like it in Lowes, and other stores. The description says a max 60watt bulb works but the actually lamp itself says max 43watt. Which is it? Probably a good idea to follow the directions on the lamp. I use a 45 W 120 v Philips spot, works very well, provides a lot of light and dims correctly. actually lamp itself says max 43 watt. Could I mount this to the top of a bookcase and angle it down over the front? BEST ANSWER: This is designed to be wall mounted only. At what height should wall lights be installed? 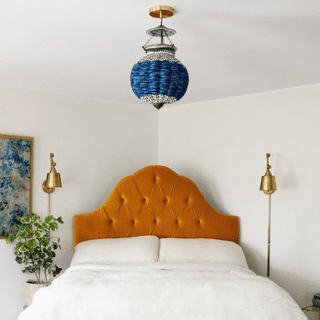 BEST ANSWER: Hi – There are various guidelines on where to place your lamp on the wall next to your bedside. One of the most important things to consider is whether or not you are able to reach the switch/lamp without getting out of bed. Just consider to be able to reach the switch from a sitting position in bed. Place the light high/low enough where the bulb is not seen from underneath the lamp shade and glaring in your eyes. There isn't really a standard answer, it depends what application you use them for. I have hard wired them on both sides of the headboard, as reading lamps. Others have placed them on the wall over bookshelves or art. It really depends on your application. Sorry I can't give you a more definitive answer, but maybe if you google your application you might be able to find what you are looking for. I plan to hard wire. Can they be switch on / off from the dimmer? BEST ANSWER: Hi - Yes, the dimmer switches located on the back plate is also your on/off switch. My husband says...of course! Good luck! What is the color in person? 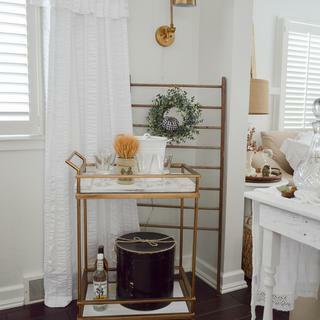 Brassy or warm antique brass as it looks in pics? Is it matte or shiny? Light bulbs use bigger watts? 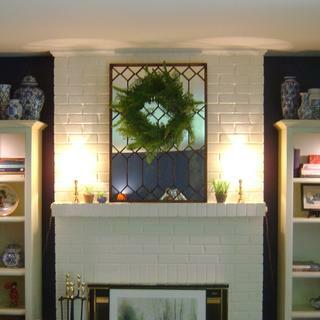 BEST ANSWER: Hi - this uses one maximum 60 watt standard-medium base bulb per wall light. Where did you find the coordinating cord covers? BEST ANSWER: Hi - I have added the recommended cord cover below. Is this light available as a single? Is the single version available for plug in (not hardwire)? I am sorry, the single version is currently not available as a plug-in (only direct wire). Is the back plate that holds the circular wall mount to the wall completely flat against the wall when installed? BEST ANSWER: Yes it is. I did have to adjust the screws for the backplate a few times until it was completely flat and tight against the wall. do the joints have to be loosened and retightened to adjust the lamp position? Or can you just push and pull on the unit to move it around? BEST ANSWER: Hi, to adjust the arms you need to loosen up the thumb screws first. The joints have serrated "teeth" on both halves. That means 1) you have to loosen the screw quite a bit to move the joint, 2) you cannot have intermediate positions and 3) the joint is quite sturdy, and does not move even if you cannot tighten the nut hard (ie old hands). This is a good design, for a lamp such as this with long arms. BEST ANSWER: Hi! It’s clear, and approx. 90 inches long. Which of your cord covers most closely matches this antique brass down-light? And, how close is the actual match? BEST ANSWER: Hi Larry - I have added the recommended cord cover below. Will you accept an order from India? Do the metal shades get very hot? BEST ANSWER: I have had these for almost a year now and I haven’t noticed them getting hot at all. We use LED bulbs so there is no heat. With regular bulbs they might. Can the cord be hidden? I am thinking of using a puck light inside the lamp head to use as lighting. BEST ANSWER: An optional cord cover is available which I have added below. 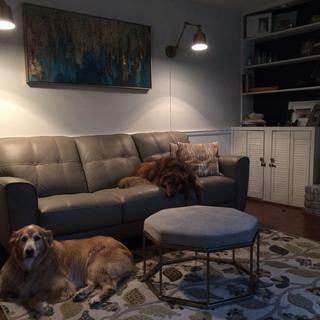 Are the Mendes antique brass downlights hardwire or outlet plug-ins? BEST ANSWER: These are designed to be plugged in. They plug in, but you can have them hardwired if desired. I love the looks but am concerned with the quality and longevity. Can any owner comment on how they are holding up? By reading the reviews it seems like the flickering issue is due to user error. Thank you! BEST ANSWER: Hi, when using a non-dimmable light bulb the light will flicker. The lights are well constructed and will last when properly used. Mine ate great only had them since 1/18. I have not had flickering issues. Did the other owner install dimmer light bulbs since these are dimmer lights? Not doing so can cause flickering. Mine never flicker and they are wearing and operating beautifully. Can these lights use led lights. .? BEST ANSWER: Yes, the swing arms is compatible with LED bulbs. The LED bulb has to be dimmable. BEST ANSWER: Yes, these wall lamps are UL listed. I did not find their sticker on any part, but it is such a well made lamp, I wouldn’t worry about it. Can these lights be hardwired into the wall? BEST ANSWER: Hi - per the manufacturer, this wall light was designed as a plug-in only and there are no conversion kits available for hard-wire installation. what is the length of these at full extension? BEST ANSWER: Hi - the maximum arm extension is 31 1/2". can you use incandescent light bulbs and if so, what is maximum wattage? BEST ANSWER: Hi - yes, you can use incandescent bulbs in these lamps if you'd wish. Maximum bulb wattage is 40 watts. 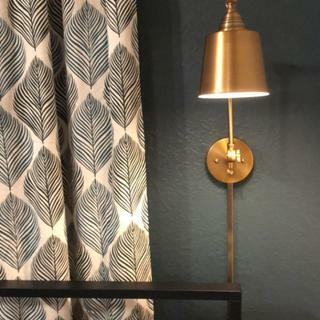 I ordered the lights and then ordered the cord covers later...they do not match the lamps are alot deeper antique brass and the covers are light brass? Is this the way it is or did I get a bad lot? when the arms are fully extended how long are the lamps? BEST ANSWER: Hi - approximately 8-inches give or take, depending on the placement of the two arms. In order to swing the light horizontally (left/right), do you have to loosen/tighten the screw on the plate every time? BEST ANSWER: Hi - yes, you do need to adjust the screws by hand when re-positioning the light. No. You can swing it without loosening any joints. The other three joints do need to be loosened to alter them. how close to the side of the bed do you hang these and how far above mattress? BEST ANSWER: Hi - this is a hard question to answer. It all depends on the shape of your bed-headboard and how you sit-lie in bed. 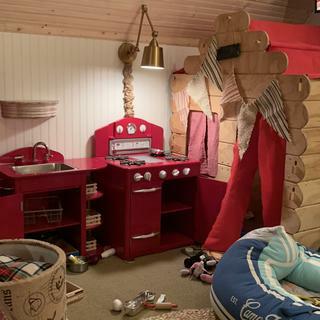 In general, however, we'd say that you want to install these slightly above eye level and to the outer edge of the bed. This will allow you to aim the light at reading material in such a way to prevent shadows falling across the pages. 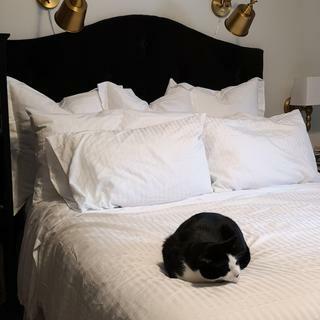 You'll have to experiment to find the best spot for you. BEST ANSWER: Hi - these are plug-in designs, but you could have them hardwired to work with a wall switch. If you wish to do so, we recommend using a licensed electrician to do the work for you. Please note that altering the design means that these would no longer be covered by our warranty policy. I believe they can be, would require some one that knows how to or an electrician. Hi there! The description of this lamp – which states that the lamp allows for "vertical up-down adjustment only"
and "does not swing left and right" – seems to contradict both the photos of the item and one of the answers already provided here. Can you please confirm that the lamp is able to swing left to right from the pivot point on the wall plate? Thanks! BEST ANSWER: My apologies for the misinformation. The lights are able to swing left to right at the pivot point attached to the canopy. Thanks for the clarification, Juan! Yes. Love these lamps. They are able to swing to the right and left. Easy to install and they look great. Yes the lamps do swivel left to right. Can I use an LED bulb in this fixture? BEST ANSWER: Yes, I have included dimmable LED bulbs. Yes, but make sure you use dimmable bulbs. I used Style # 39E74 from this vendor, they work great. can the swing arm be removed? BEST ANSWER: I'm sorry, the swing arm cannot be removed. Lots of WOW for $99 bucks! Love my new lights!! The cords are long, plenty to hang on the wall, and then plug in. Plus they are clear, so they practically disappear on my white walls. Loved that I could install these all on my own, without an electrician (or my husband). The price is so much less than oodles of other lights that look pretty darn identical. I found many for $350+ for just one light. So happy to have stumbled across these. They are poor quality and one flickers and flashes off repeatedly. The adjustment dials are unstable. Hi Latosha, sorry to hear that one of your lights are flickering on and off! They look wonderful with your decor in the image you uploaded with the review, and hope we can resolve the issue for you. We've made our customer service team aware of this and they will be in touch with you shortly. Thank you! 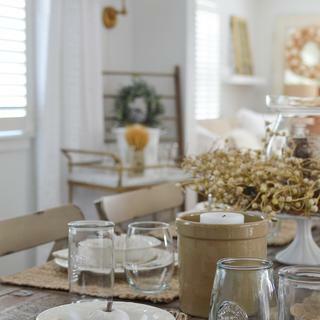 We hope you like the photo styled by @ahousewithbooks - look for more exciting images and video on our product pages! We hope you like the photos styled by @blossominginteriors - look for more exciting images and video on our product pages! Lamps were easy to install with a drill. 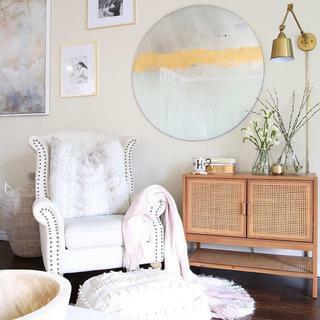 Gives my family room a cozy, chic feel. Easy to hang and love that it has a dimmer. Extremely happy with our purchase! We love our new sconces! They look beautiful, we’re a breeze to setup, and look sharp in our master bedroom! Excited to read with them before bed! Bedtime reads ready to go! 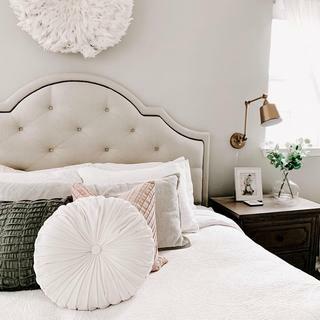 I love these sconces! They look great against the hunter green wall. The actual color of the sconces is a bit of a deeper colored gold than pictured, but I love how they turned out. They were also very easy to install and for $99 for the set, you can’t go wrong with the price. Mismatched finish, flickering and now one isn’t working. Will be trying to return. I guess you get what you pay for, I was hoping for better. Hello Sarah K., thank you for leaving us this product feedback. Please note that if you are using an LED bulb with this lamp design, you will need to make sure to use a dimmable LED bulb or the lamp will flicker as you noted. We are looking into the finish issues that you mentioned for correction. If you haven't already reached out to our customer service team for assistance with your return, please feel free to call, email, or chat directly to get that process initiated. Thank you! Exactly what I had been seraching for! Absolutely love these new lights. Instead of mounting them on the wall - my plan was to mount them on top of my bookcases - and they worked perfectly! I simply secured the mounting plates into the top of the bookcases (instead of the wall) and then adjusted the 3 segmented arms in the opposite direction. The long cords assured that I was able to hide the connection and the dimmability (is that a word?) was perfect since I only wanted a swash of light down across the shelves. Currently I am using LED bulbs (as that is all I had on hand), but I may switch them out for traditional incandescent bulbs so that the light will be a bit warmer. But I absolutely LOVE them - and for the price, THEY ARE PERFECT!!! 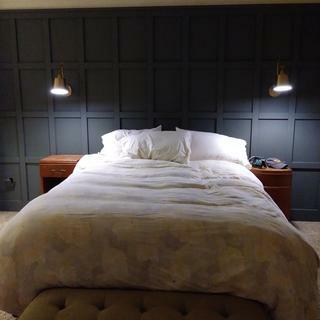 Mendes Antique Brass Down-Light Plug-In Wall Lamps used in an unconventional way! I bought these to replace a cheap pair (that were actually the same price) that had problems with their switches. The switches and sockets of these are much higher quality, as is the hardware. The 3 flex joints are sturdy and lock securely. I had trouble finding lamps that also had a swinging joint, which these do. Very flexible design. These are over my bed, so having the switches on the base instead of the lampholder is great (you know where it will be in the middle of the night). Having dimmers is just a bonus. I also bought LED bullbs to go with these (60W dimmable, 3000K color, Style # 39E74), and very glad I did. The old fixtures had slightly warmer, higher wattage lamps (2700K, 11.5W), which seemed like they might be better (you want to minimize blue light at bedtime). But those were non-dimmable, and flickered badly, even at full brightness. That explains some of the negative reviews. 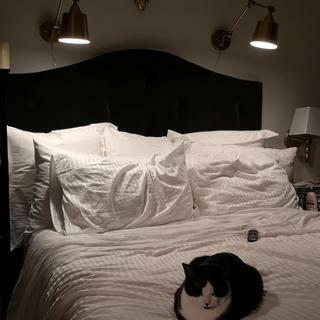 I would highly recommend these lamps. Great value, they look beautiful. they feel a little cheap upon opening, but for $99 they look great mounted! Wish I had thought to buy the cord hider with it, not sure how I missed that. Exactly what I have been looking for! They look great and are not flimsy! To say gorgeous is not enough! These are so tasteful and of great quality. I love them. We bought another set for our built ins. The price really cannot be beat. Oh the gold is a rich gold not too brassy and bright. Super happy with this set of 2 lamps. Great price compared to a lot of other sites. Arrived promptly and well packaged, easy to put together. Awesome! Will be shopping from lamps+ again. I love the look of these lamps, they're just as pictured. It only took me about half an hour to get them mounted, super simple. The shipping was quick, they came exactly when scheduled. Overall, this has been a great experience. I will be ordering from Lamps Plus again. 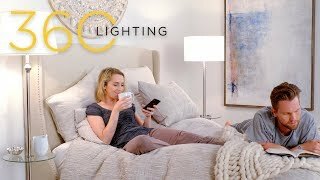 I noticed some people complaining about the lights flickering - make sure you get dimmable bulbs! Excellent product and an great buy. They were easy to install, but we used our own screws because the ones included were crap. Easy to install, nice color. 4 stars because it has a very wobbly assembly coming from the base.